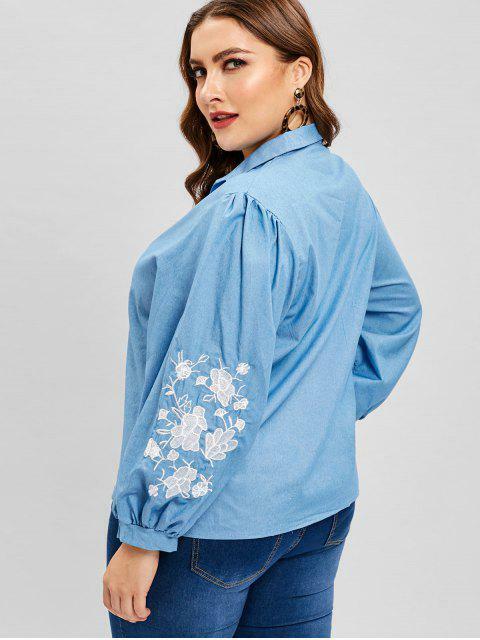 [48% OFF] 2019 V Neck Floral Embroidered Plus Size Blouse In DENIM BLUE | ZAFUL .. 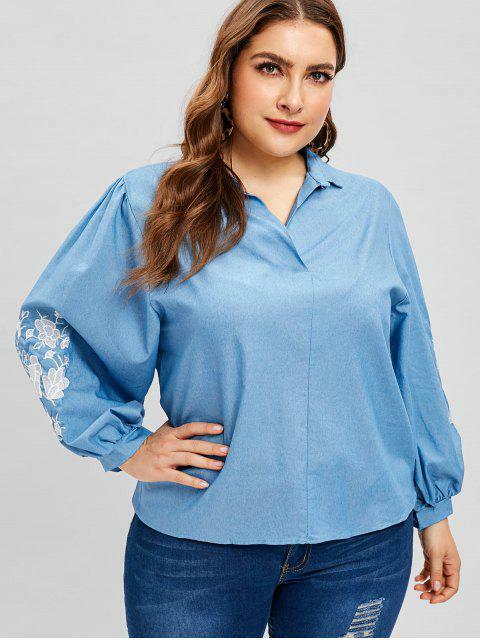 This plus size long-sleeved blouse is exactly made for you! 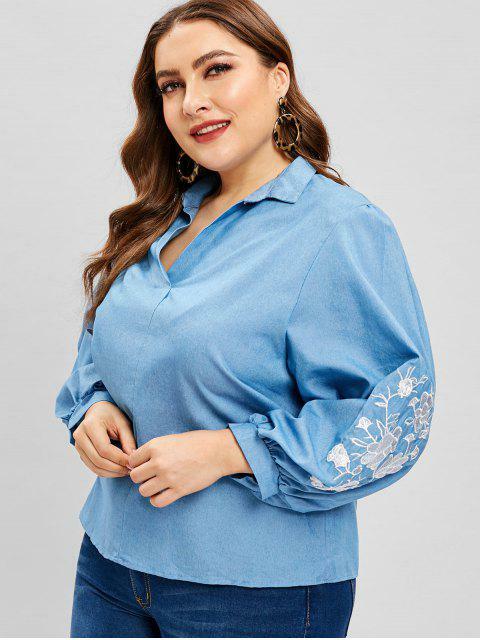 It is the perfect piece with the floral embroidered design at the sleeves to add an extra delicate feel, which is easy to pair with jeans or shorts to complete an effortlessly feminine look.